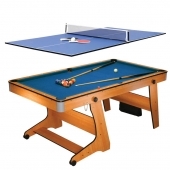 Play Pool, Table Tennis and Darts! 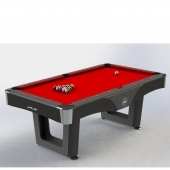 Play Snooker, Pool & Darts! 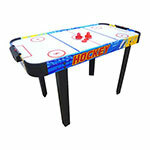 Getting together with friends and family has never been more fun with our extensive selection of Games Tables. 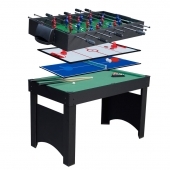 Whether you want to recreate the fun of arcades or bring the pub home, our range of Games Tables, including table football, will have everyone at home gathering around in no time. 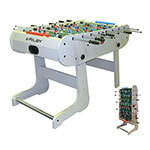 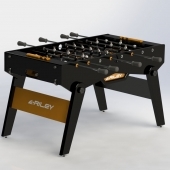 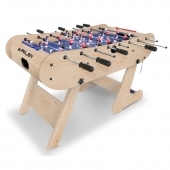 At All Round Fun we provide a range of table football options. 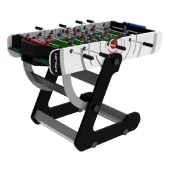 From the smart and stylish to compact and portable, the joy of friendly competition never needs to end when you have your own table football! 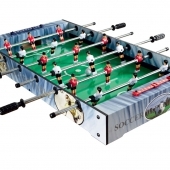 Table football can also be the perfect gift. 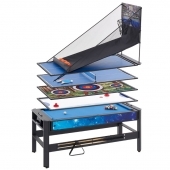 Not only are they incredibly fun, but they are guaranteed to get the whole family involved too. 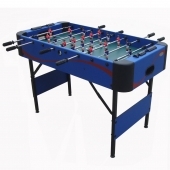 Multiple sliding poles mean that there can be more than one player on each side at any one time. 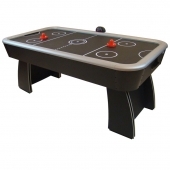 Alternatively, you may prefer the excitement of a fast-paced air hockey machine complete with stereo sound and LED lights. 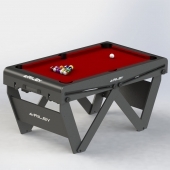 Indoors or outdoors, our tables come in various sizes and some offer the convenience of being folded and easily transported. 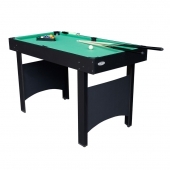 This means that you can decide whether you want to take up a game of table tennis out in the sun or a game of pool inside and away from the rain. 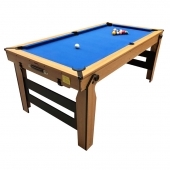 Known as one of the most testing billiard games, our snooker tables will allow those who consider themselves the most skilled at this sport, to show off their skills in the comfort of their own homes. 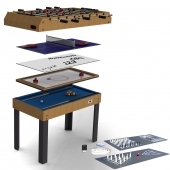 We understand that recreating the arcades or even a games room at home doesn’t sound possible when space is limited, which is why any one of our Multi Game Tables is a must when you want to get the most out of a single table top. 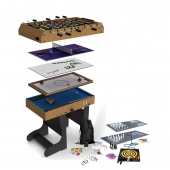 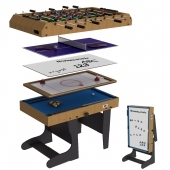 Our Multi Game Table with 21 games in 1 caters for every taste and skill, and like all our other games tables, comes complete with all the right accessories to get you started. 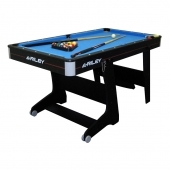 Our range of tables are suitable for kids and adults alike, and perfect if you really want to get an indoor competition going. 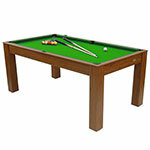 All of our tables are and sourced from tried and tested suppliers. 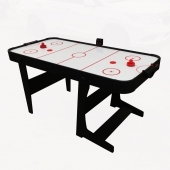 At All Round Fun, we’re not only concerned with making the great outdoors more fun, we also want to make your homes an exciting hotbed of entertainment. 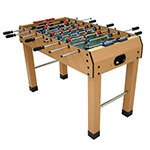 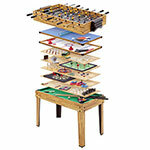 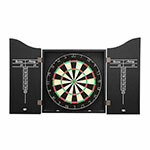 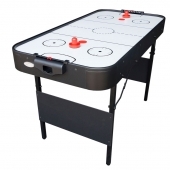 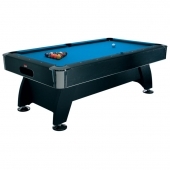 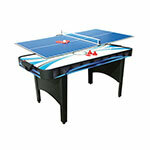 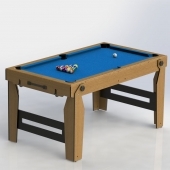 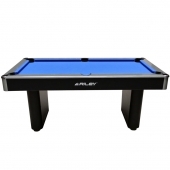 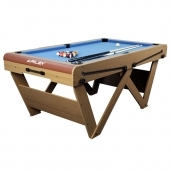 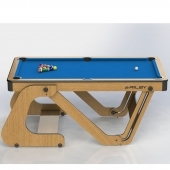 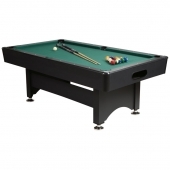 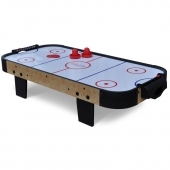 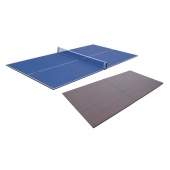 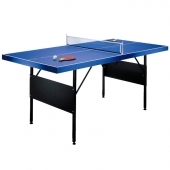 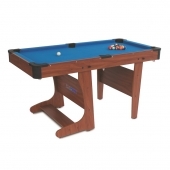 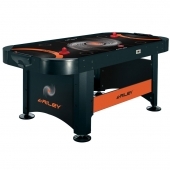 We stock a great selection of Games Tables suitable for everyone. 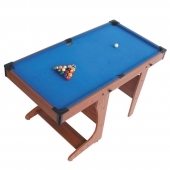 Make these classic Games Tables a centre piece when having family and friends around. 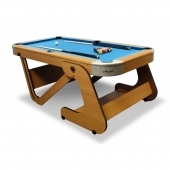 From killer pool to retro arcade game competitions, we have the games table to suit your taste and test your skills. 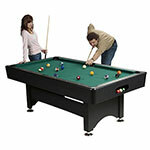 Always popular at house parties and get-togethers; pool tables can bring people together and offer endless hours of fun. 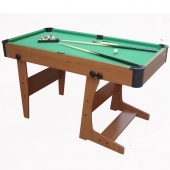 The simplistic but endlessly testing game of pool will keep you and the family entertained for hours. 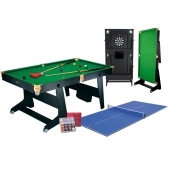 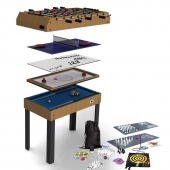 Stocking only games from tried and tested suppliers, our range of Games Tables are ideal for those building a den or games room in their home. 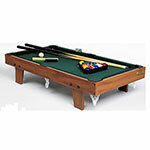 The ultimate escape and chill out room has never been more enjoyable than when stocked with a high quality Games Table. 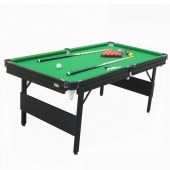 And for the serious gamers out there, we also stock snooker tables. 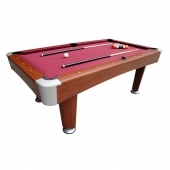 Considered by casual players to be one of the most difficult and testing games; Snooker has been entertaining players for over 100 years being a game about concentration with challenging shots and a large playing surface.